This Arabic for Beginners course is a foundation course that focuses mainly teaching conversational Arabic relevant to real-life situations in social and business contexts. the curriculum follows a communicative task-based methodology in teaching Arabic as a second language and integrates the four language skills, with a focus on speaking. The classes are highly interactive and student-centered. Students get to put the language they learn in full use and to gain confidence while using the language. Students learn to communicate effectively and perform real-life functions, such as, introducing themselves and sharing personal information; describing their plans, actions, abilities, and states of being, expressing what they want and what they have; discussing their work; inviting people over; getting to know others, and asking and responding to various questions. The method used brings out the logic of the language in a way that has not been implemented before, which makes the learning process easier and gives Arabic the credit it deserves, as a logical, systematic and easy to learn the language. Besides speaking, students learn how to read and write the letters of the Arabic script. 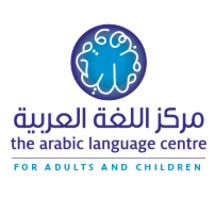 Our teaching approach helps students to learn and speak the language the natural way; via the Arabic Script, rather than via the English transliteration. "Very good teacher, friendly and encouraging; very nice method which makes learning of such a difficult language easier. " "I'm very satisfied with progress. Very flexible schedule, possible to change later. Excellent teachers." "5 star! Intensive was fun due to Angela's incredible energy and support! Don't know how she keeps the high energy up class after class! Truly remarkable!"